We are sponsoring Josh Gotts in his debut senior season in the EnduroGP World Championship and the British Enduro Championship. In 2016, Josh competed in the junior class, finishing the season in an impressive 15th place. The step up to the E2 class has required Josh to take time away from his engineering job, giving his full commitment to the very competitive EnduroGP World Championship. 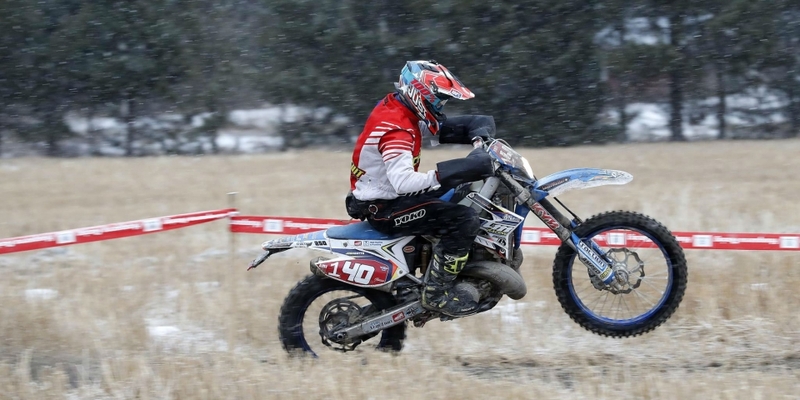 The first two events in the EnduroGP World Championship have already taken place in Finland (pictured above) and Spain, where Josh placed an impressive 16th and 17th respectively. Enduro is a format of long distance motorcycle racing, typically over rough terrain with routes designed to test endurance. Enduro motorcycles are similar to motocross bikes and riders compete for the best lap time in a time trial format. What's the EnduroGP World Championship? Operated by the International Motorcycling Federation (FIM) the EnduroGP World Championship consists of nine events across the globe. Each event includes two stages, where the highest points are awarded for the fastest lap times. What's the British Enduro Championship? Operated by the Auto Cycle Union (ACU) the British Enduro Championship consists of five across throughout the United Kingdom. As with the EnduroGP World Championship, each event includes two stages with the highest points awarded for the fastest lap times. M&N Heating & Plumbing has sponsored Josh's participation in both the EnduroGP World Championship and the British Enduro Championship. Our branding can be seen on both his motorcycle and racing leathers. You can keep update to date with Josh's progress on the EnduroGP World Championship standings and the British Enduro Championship standings. We'll also provide updates throughout the season via Facebook and Twitter.